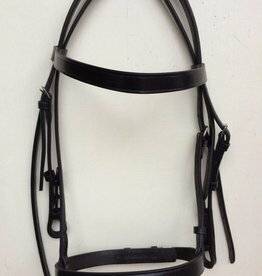 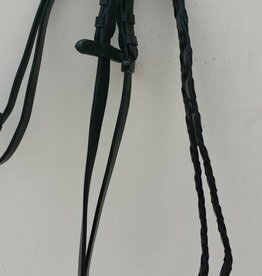 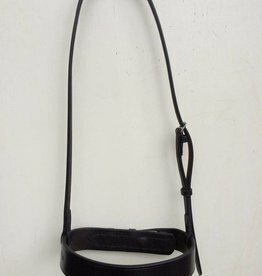 Quality English leather showbridle with brass "ring" browband and flat noseband. 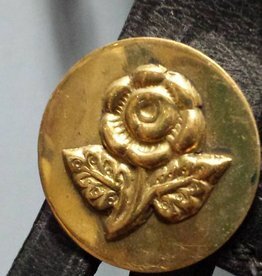 On both sides the lovely English flower rosettes. 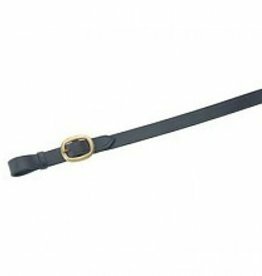 Available in 2 colours & 1 size; for example a adult Welsh section A & B pony. 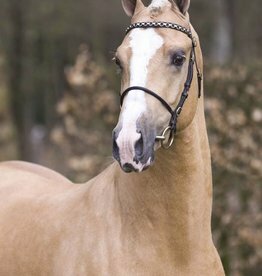 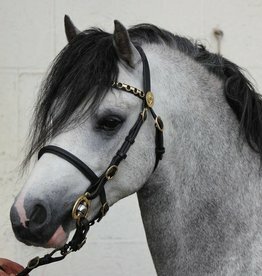 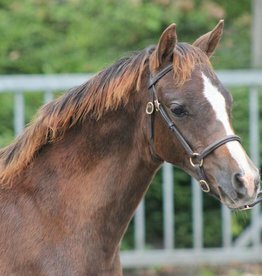 Our an other native ponybreed. 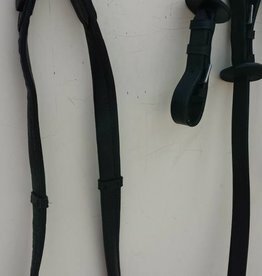 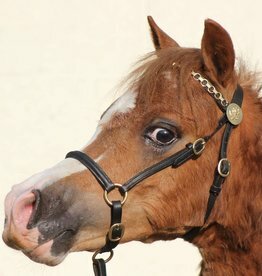 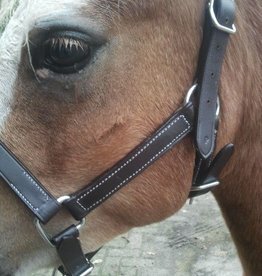 lovely quality leather headcollar, 3x adjustable, colour dark havanna, with white stitching. 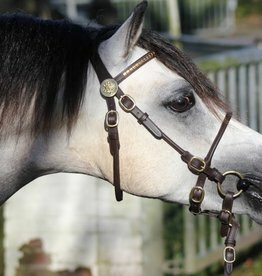 Lovely fully leather laced rein.